The following policies and procedures provide the operating principles for Human Resources at The Ohio State University and supersede any prior policies. Each policy has a “Resources” section that provides contact information; related policies, forms, and publications; and other relevant information. HR documents should be maintained according to the HR Records Retention Schedule. Contact the Office of Human Resources with questions about policy content or how a policy applies to your specific department. Applies to: Faculty, staff, students, student employees, graduate associates, appointees, volunteers, supplier/contractor, visitors. Applies to: Faculty, staff, appointees, students, student employees, graduate associates, and volunteers working in activities and programs with minors in the course of their university duties. This is not required to be used, and serves as an example for those needing it. Units can use this with minor participants if desired, but is not required. Some programs are required by Ohio Department of Job and Family Services to use this form. Attendance for in-person trainings may be tracked however is easiest but this method is recommended. Care, custody, or control responsibilities, required for those with care, custody, or control but anyone working with minors can choose this option if desired: Go to BuckeyeLearn and log on using your name.# credentials. Type Minor Participants in the global search box near the top right of BuckeyeLearn. When search results begin to appear, press Enter on the keyboard. Locate the appropriate year and click on the course title. Click Request and once on your active transcript, click Launch. Applies to: Staff and student employees. Grant-funded employees are not covered by this policy. Applies to: Faculty, staff, graduate associates, student employees, appointees, volunteers, employees provided by third party staffing vendors, and those working in activities and programs with minor participants in the course of their university duties. Applies to: Faculty, staff, graduate associates, and student employees. Applies to: Faculty, staff, graduate associates, and student employees. Does not apply to Health System employees. *All employees should also refer to Policy 6.17, Disaster Preparedness & University State of Emergency for further direction and compensation information. 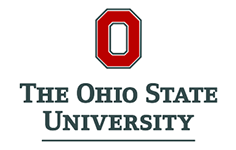 The following are many of the forms required by the Office of Human Resources for different programs and services available to Ohio State University employees. For more information about the forms and their use, contact the Office of Human Resources Customer Service Center. Issued is the first release date of the policy. Revised is the date of substantive content changes approved by a review and signature process. Edited is the date of style, format or grammar changes and/or correction of error. Reviewed is the date that the policy was last updated to confirm that content was reviewed and found to be current.